For our twentieth anniversary, we’d like to share our extra virgin olive oil inside the prism tin. “Villajos 20th Anniversary extra virgin olive oil “, Our best Villajos extra virgin olive oil inside the most appropriate tin to keep the attributes of our oil. Enjoy it! For us the year 2015 is not any year: we’ve been doing what we like for 20 years long, satisfying our consumers with our oils and cheeses. Through our main trademark, VILLAJOS, we’d like to offer our consumers the launch of the Villajos 20th Anniversary extra virgin olive oil of 750ml in an innovative prism tin which perfectly combines our oil’s supreme quality with a great preservation capacity against the light. It is very easy to use and avoids spillages. It also has a stopper with a ringpull very useful to open it and also a comfortable hinge to close it. During the tests to check the storage and preserving capacities of the extra virgin olive oil depending on the material it is preserved in, it has been found that usually after 190 days the product starts losing its properties. Nevertheless, our Villajos 20th Anniversary tin keeps the organoleptic properties at its best level, even better than the glass or the polyethylene do. It is an inert tin which does not react with the oil and does not contaminates it with strange smells or flavours. It also benefits its resistance during transport and usage at home. It is resistant to the atmospheric humidity and oxygen. It protects the oil from the light and the temperature changes. It facilitates the opening, closing and usage to the consumer. 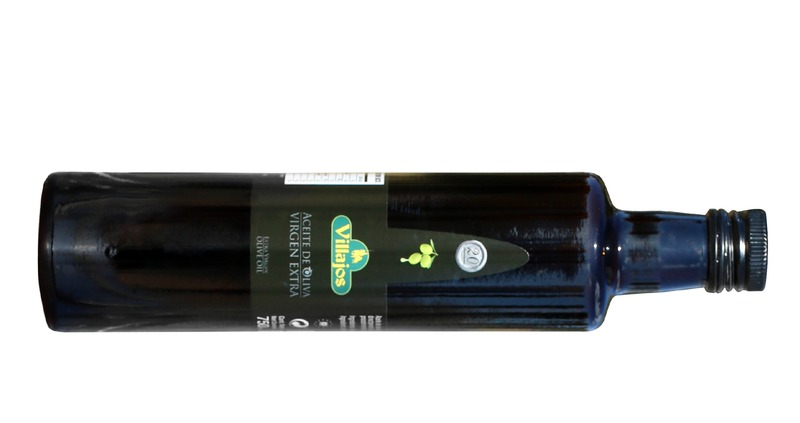 On the other hand, for our twentieth anniversary, we’d also like to share our extra virgin olive oil inside the 500ml dark glass Doric bottle. 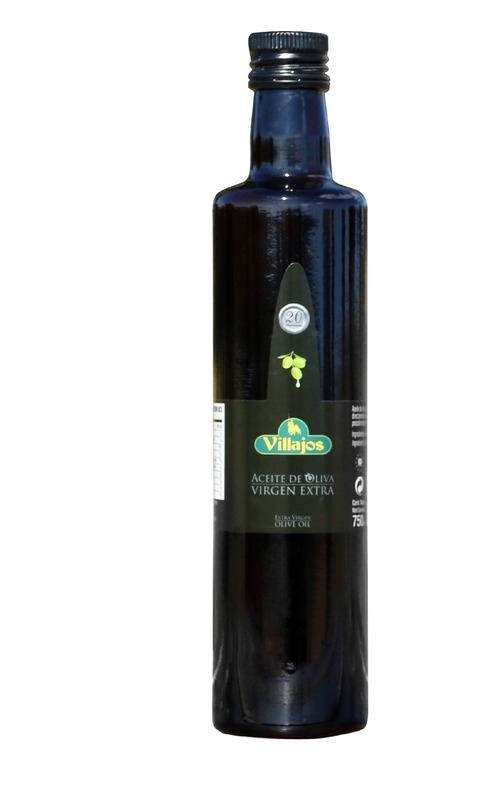 We’d like to accompany the Villajos 20th Anniversary extra virgin olive oil with a 500ml presentation in DARK GLASS DORIC BOTTLE. The dark glass Doric bottle enables a better preservation of the oil because it protects it from the light. This quality glass is the best guarantee for the best extra virgin olive oil. It also benefits its usage at home. It protects the oil from the temperature changes. Good preservation of the organoleptic properties against the exposure to the light and the temperature changes.